It has been nearly a month since I wrote an article. If you have been wondering what is happening - I have been on a holiday trip to India. 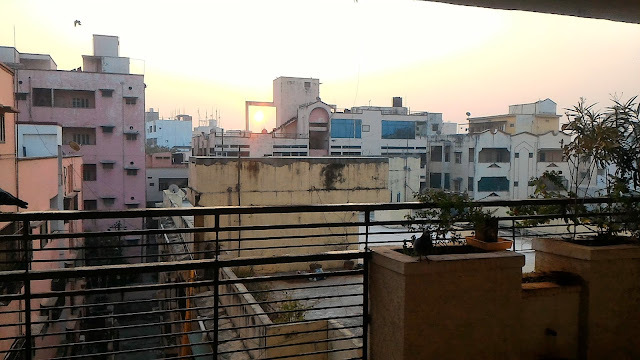 Before leaving to India, I decided that I will write more posts to compensate for the backlog that I have but, changed my plans shortly after reaching India. Initial first week was simply getting the much-needed rest from daily routine of Job and work. Just relaxing and resting with family. Calling friends by phone, reconnecting with old friends etc. However, after the initial week, things became so busy and spiced up that I decided to simply go with the flow, enjoy the moments and experience things. 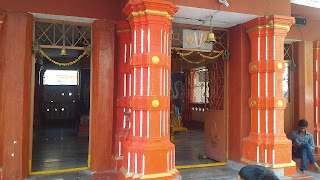 Venu Gopala Swamy Temple at Bollarum. my old friends, one of them after nearly 30 years. I visited some local, old temples of Lord Krishna and Lord Rama. Then, I visited the houses of my relatives, did some shopping. Enjoyed the Demonetization part and the limit of money withdrawals from ATMs and banks. Initially, when I went to the bank, the limit was $2000.Slowly it became OK and one time, I could withdraw 10K from the bank. And, then of course you can use the ATM cards where ever the option is available like, Petrol Stations, Super Markets and all Big Shops. 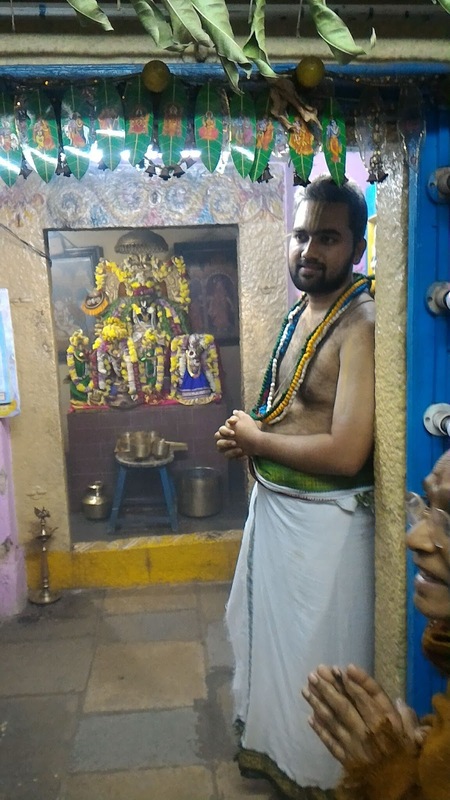 Also, thankfully I never had to stand up in the ques in front of ATM's.Then for about ten days, I was travelling with my family to Jagannath Puri and Mayapur (Details to follow). Ramalayam at Nallakunta: This temple is about 400 years old, the priest said. 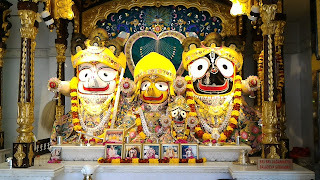 The main deities are Lord Ramachandra, Sita Devi, Lakshman and Hanuman. Carved in beautiful black stone, they are quite attractive. 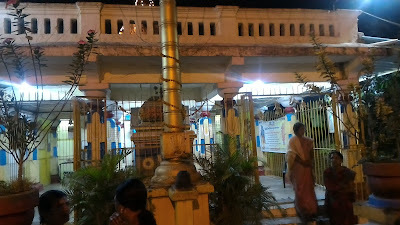 From outside, the temple looks like a newly built with cement walls but, as you walk in, you can see the original stone walls. I think, cement was plastered on to the stone walls from outside to protect and give strength to the structure. And then, there was number of other Demigods idols like, Nava Graha, Lord Shive, Durga devi etc. 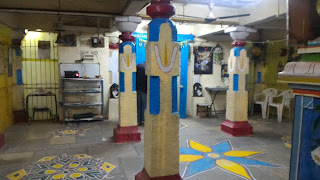 Another intresting piece of information is that, in the evenings an Astrologer regularly visits the temple and available for consultation. 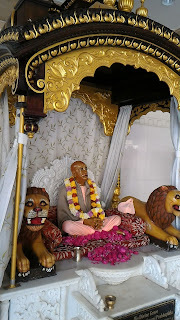 There is a room allocated for him, just besides the main temple. Apparently, he is very good in giving predictions and prior appointment is required for consultation. One evening I walked in to find about twenty people sitting and patiently waiting for their turn and know there future. He even has a Lenovo Ideapad 510 laptop that he uses to draw the Chart and Kundali through some Astrological Software. The other temple, I visited is again an old temple of Venu Gopala Swamy in Bollarum, being maintained by a family of Sri vaishnava Brahmins. Apart from the main deity of Venu Gopala Swamy, Rukmini and Satyabhama (two principal wife’s of Krishna), there are couple of Salegrams and other small deities like Vishvaksena, the Commander in Chief of Lord Vishnu's army. Again, the temple is about 500 plus years old and the priests are quite cordial and explained the details of all the deities present. 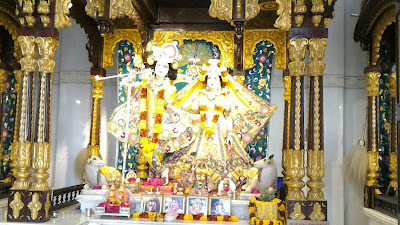 They, requested me not to take a close-up shot of the deities and I obliged. 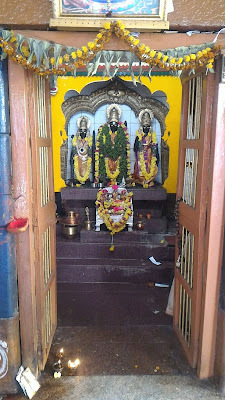 And, the deity Venu Gopala Swamy was quite beautiful. Sri Sri Radha Madanmohan Mandir of ISKCON is one more temple I visited couple of times. 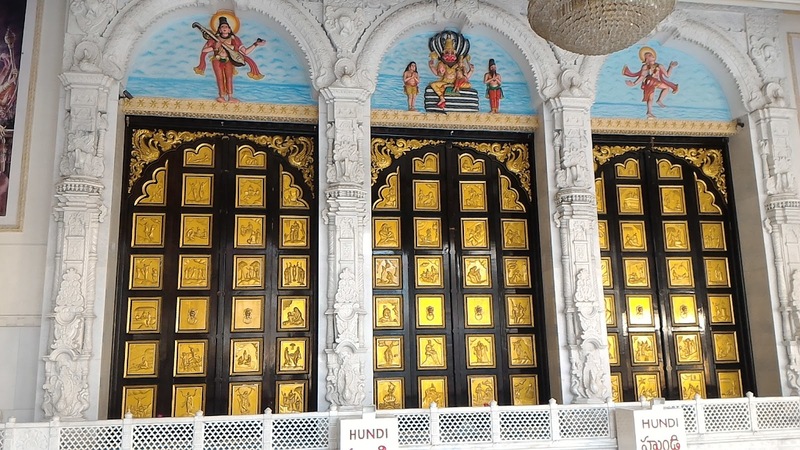 Situated in heart of the Hyderabad City, bids the temple is a well built and well managed. The deities are big, I guess about six feet. 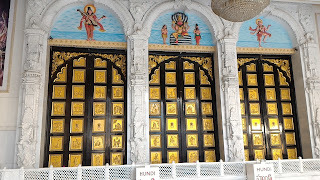 The interior decoration was beautiful and temple hall and courtyard is huge able to accommodate hundreds of people. This temple was one of the first temple to be established in India (Apart from Mayapur and Vrindavan) by Srila Prabhupad, the founder Acharya of ISKCON in 1970's. 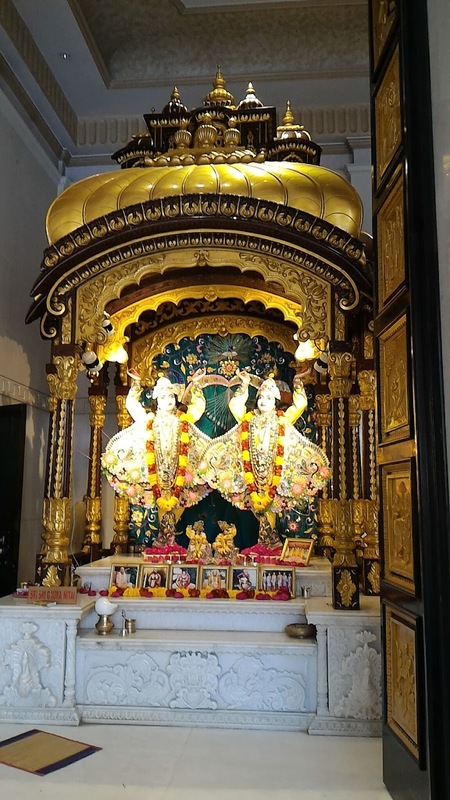 The temple has a function hall, guest house with rooms to accommodate guests, Lecture halls for Bhagavad Gita and Bhagavatam Lectures. Classes happen in Hindi and English simultaneously. 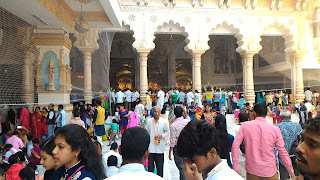 There is a big dining hall, an attached Restaurant called Govindas, a bakery and a temple shop. The temple has three altars with Lord Chaitanya and Nityananda, Radha Madanmohan and Jagannatha, Baladeva, Subdhra.A must visit devotional place with a wonderful spiritual atmosphere.